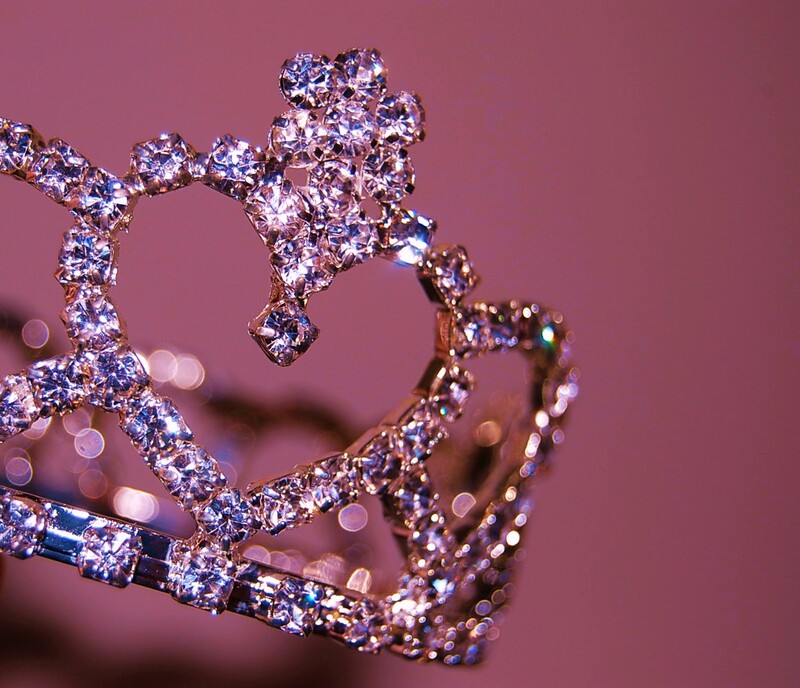 As a child pageants were all about tiaras and sparkly costumes Flickr: Robynlou Kavanagh. It’s not strange pageantry appealed to our girlish wonder. Pageantry is strangely child-like, the contestants absurd and sometimes nonsensical answers to paternal judges, now parodied endlessly on social media, seemed then charming responses to what we felt were difficult questions. The garish costumes, appealed to our child-like love of colour and costume. Each country’s contestant would reflect the nation’s idea of beauty. Indian and South American contestants were always fairer than their average looking compatriots. Scandinavian entrants blonde and blue eyed. Rarely would you see an ethnic face represented from multicultural Western countries. Interestingly, the crowning of Nina Davuluri, the first Indian-American winner of Miss America has prompted a racially charged social media backlash. Davuluri according to some bigots, is not ‘American’ enough. While a few unseemly comments on Twitter are not indicative of the majority, they do point to some primal fears. Pageantry has always revolved around stringent feminine ideals and patriotic representation. A Miss contestant is wholesome, even in a bikini. She is single with the promise of desirability but without a hint of scandal. She represents national ideals of beauty, nationhood, faith, patriotism, safety. Most importantly though is what she is not. She is not unpalatable, threatening, or unusual. A brown Miss America represents the fear of what has been lost to migration and a bygone age – continuity, stability, gender norms and a dominant racial status quo. Like any pesky migrant, not only did Davuluri win but she got the job at the expense of ‘one of ours’, at the expense of what America should look like (blonde, blue-eyed, gun-toting’ Miss Kansas seems to have been the favourite). The bizarre link by some to Davuluri being Arab, even a possible terrorist, and lamenting her win as a mark of disrespect post the anniversary of September 11, pits her against American nationhood. If nationhood is based on what we exclude and who we are against, it seems the most alien Un-American thing we can think of is Arabs and Islam. At the other end of the spectrum, Indonesian right-wing groups oppose the country’s hosting of Miss World, and pageantry comes to represent again what we are against. It’s seen here as an imposition of Western values and an insult to religion. Curiously the solution put in place to counter the insult of judging women by their appearance is a counter contest to judge them; a Muslim pageant, featuring head-scarved women judged for their supposed piety. In both cases it seems the right to judge itself is not disputed. It’s the values the women need to embody. The women are just the blank slate for the political and cultural projections and fantasies of others. I lost interest in pageantry as the costume glitz novelty wore off. The banter of inane hosts, the vacuousness and the meat-fest dressed up as a merit contest seemed painful but also amusing and ultimately not that interesting. Most beauty contestants are struggling show business types understandably hoping to use it as springboard to break into a difficult industry. I don’t think banning pageants especially in the name of another kind of imposition of what women should do is right. Ultimately it’s for women themselves to decide based on their own needs. But I’m stunned at the constant controversy pageantry seems to generate. What do you think? As a little girl or boy did you enjoy watching kitsch pageants on TV? Davuluri herself has dismissed the comments and sees her win as a precedent for greater diversity. There’s also been commentary that ironically in India, Davuluri could have faced another kind of prejudice and be considered too dark to even be a beauty queen. I’ve written about this before . So in a way is her win a boon for dark-skinned Indians just as much as it is for desi representation in the west? While I don’t think diversity is the key to fixing an already problematic set up, I admit my 10-year-old self would probably be a little bit excited to see a brown Miss America. But I feel that, just like that little girl, we should probably all just grow out of them. Thanks for this much needed critique of pageantry. The female body is constantly used to serve the interests of dominating powers in society. Whether it is to present a hyper-femininity grounded in passivity and outer-beauty, or in passivity through ‘piety’, women are boxed into an ideal. Thanks Tasnim. I agree, women’s bodies seem to be the battleground for a cultural war. It’s time women reclaimed their bodies for themselves without fear of being constantly critiqued whatever their choices are. Love the last paragraph in particular Sarah. I used to love pageant shows too. Now I look back and wonder what I found enjoyable. Also, as you pointed out, its quite interesting how the Miss America winner doesnt conform to the Indians ideals of beauty. It was being discussed at ky school today where some students of subcontinental background mentioned that she would not have won if this was a Pakistani or Indian show. Pity. Thanks Anam. I agree that it’s interesting tangent to this story, again comes down to very restrictive notions of beauty and cultural norms.